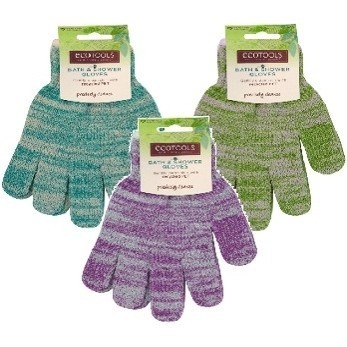 Look beautiful and live beautifully every day with the bath and shower gloves. Slip your hands in the gloves, wet and apply your favourite body wash. Massage all over the body for refreshing, clean skin. Rinse gloves and air dry. Please email for current colours available.